Some dogs bring sticks inside. A Bullmastiff is not satisfied with a little twig. They’re proud when they can find a massive branch that suits those big, pouty jowls. But unless you want your floor covered in wood chips, you have to stand your ground – which is difficult when your giant pup has decided to make a piece of a tree their new best friend. Bullmastiffs communicate with a series of grumbles, snorts, woofs and whines. When you talk to them, they might just talk right back. 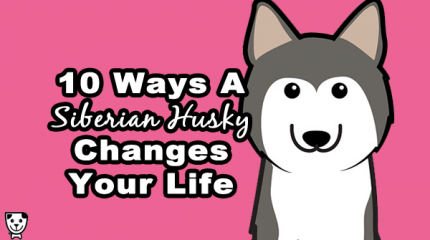 They’ll even give a heavy sigh when they’re tired, or just tired of being huge and adorable. As a Bullmastiff owner, you learn to speak your big pup’s language, and you start to understand each other on a deeper level. It’s not surprising that Bullmastiffs produce a considerable amount of drool. But you never really anticipate just how much of it they produce, and how quickly it takes over your entire life. When you feel something wet on your face, shoulder or cheek, you’re sure to see that great big puppy sitting next to you. If you’re late for dinner, forget it – the drool will fly. It’s not just the long strings of drool. It’s when they shake their head, flinging it all over the furniture and walls. A Bullmastiff is not a dog for sharing ice cream with. If you’re not careful, that big old nose will find your glass of milk on the coffee table and start helping herself to a few slurps. One sloppy swipe of that tongue, and you’ve lost your appetite. 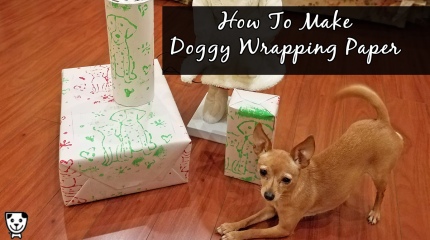 People might think you’re talking to a five-pound Chihuahua, but it’s just you letting your Bullmastiff know that they’re the most beautiful bundle of love you’ve ever laid eyes on. Behind closed doors, you say the silliest things to your Bully, or maybe you’re out and about with it. There’s really no reason to hide your love for your big, beautiful baby boy or girl. Anyone who has met them can understand why you’re head over heels in love with your baby. 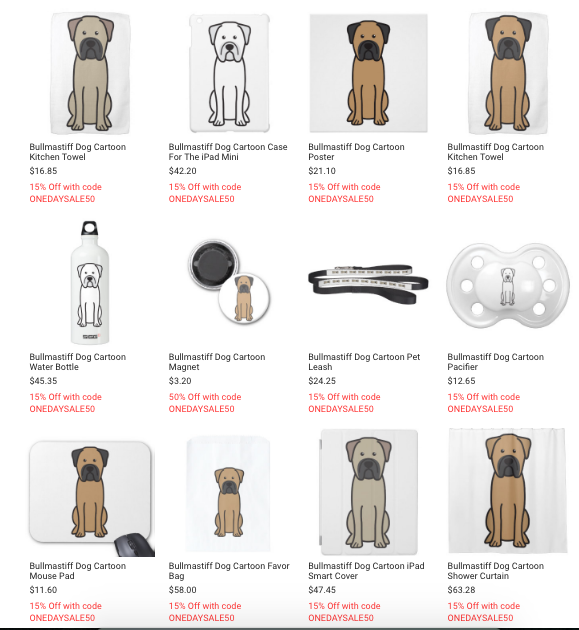 Shop Bullmastiff gifts from our online store! 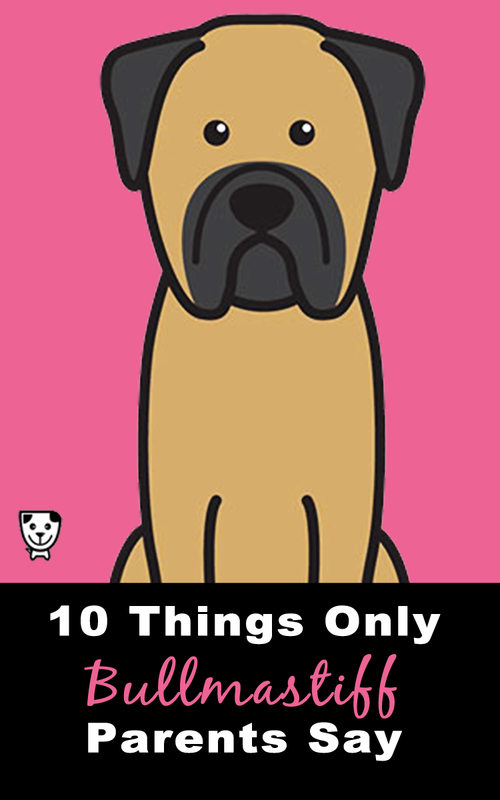 A Bullmastiff never really notices when they surpass 100 pounds. They won’t hesitate to settle down on top of your feet. You may have to insist, several times, that your feet cannot sustain that massive weight, and they will have to find someplace else to sit. Your Bully wants to be as close to you as possible, which can sometimes make it hard to breathe. While you’d love to cuddle up to your Bullmastiff, they’re simply too large to share the couch and bed with you. Wouldn’t it be a dream to have a bed so big, that you, your significant other, and your Bully could all stretch out and get a good night’s sleep? All dogs fart. Even a tiny Yorkie will let out an itty-bitty poot once in a while. But you can’t always hear or smell a dog’s fart. 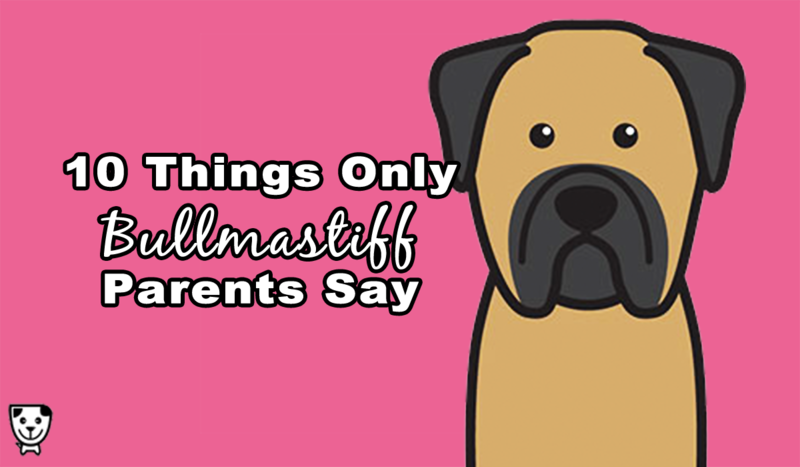 Not true with a Bullmastiff. Sometimes, a Bully will let out a loud, proud trumpet of noxious gas. Other times, the deadly gases will silently leak out and threaten to kill you in your sleep. You may want to have the windows open when your pup ate something weird at the park. Or you might actually, literally die. When you’re out for a walk, people notice. You feel safer just knowing your big pal always has your back. People are curious about how you manage, or might even just stop to let you know that yes, you do indeed have a large dog. Children are amazed at the size of those big, bumbly paws, and duck from that massive, waving tail. A Bullmastiff will suffocate you with love. 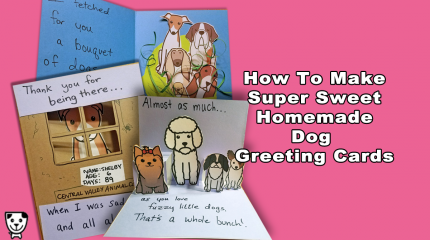 You’ll feel safe and happy every day that they are a part of your family. There’s a very special relationship to be had with such a dog so big, that you have to negotiate to live in harmony together. That might mean asking them to please get their head off your neck so you don’t asphyxiate, or to try to live longer than 8 years because you really, really need them in your life. My Bear is the love of my life. He is a big loveable Teddy Bear. We are always stopped as he loves everyone…..as long as Mom is happy, or he does not feel a threat. Then he is my protector. He is my Service Dog and is 13 years old. He is healthy and living on love.